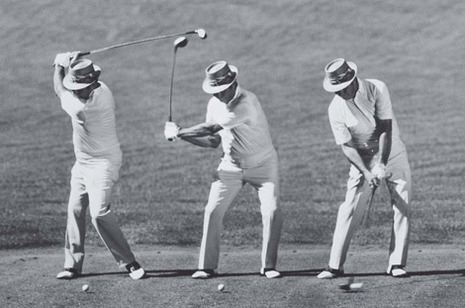 Battling strong winds the final two days, Sam Snead won his second Masters title, this one by four strokes over Jack Burke. Ben Hogan hosted the first Masters Club dinner (popularly known as the Champions dinner) that year. That was off the course. 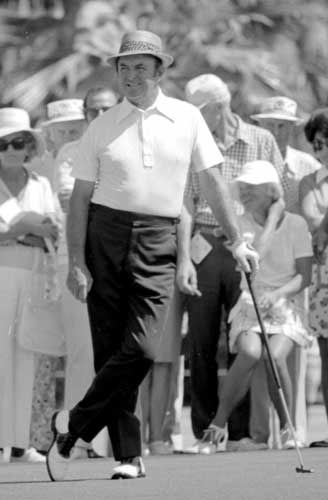 On the course at the 1952 Masters, the winner was Sam Snead. It was Snead's second victory at The Masters, and the sixth of his seven career victories in major championships. Snead won despite shooting 77 in the third round. The final two rounds were played under very windy conditions, leading to tough scoring conditions, and despite that 77 Snead entered the final round tied for the lead. His even-par 72 in the final round was good enough to pull away for a 4-stroke victory over Jack Burke Jr.